We just released a new feature of pidoco°. From now on you have the choice between the old “plain” mode and the brand new “sketched” mode. No matter which elements you put into your prototype, you can always switch between both modes. The same applies to invitations: you decide which mode the test user should see. 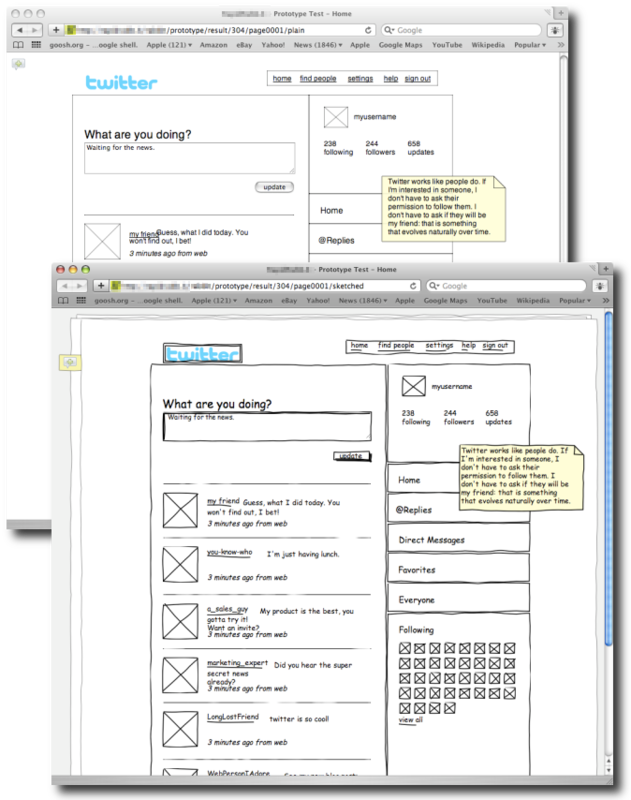 To make it more visual, Silvan was so kind to make a Twitter prototype. The result is shown below. We think, it looks excellent. However, as nothing is perfect, please feel free to submit any thoughts of how we should improve pidoco° on our UserVoice page. You’re welcome to explore our “digital paper prototypes” instantly in our Preview.